Again I’m clearly a day late here with my verdict. Busy weekend of my cricket club pub crawl (although half the usual pubs had gone out of business, sad times! ), the subsequent hangover, and then a catch up with a great mate from Oslo that…er…got out of hand a bit left me nursing a glass of Rioja for Monday lunch. There have been worse Mondays! So the three of us (the missus was there too) sat around to have ratatouille and roast chorizo (wanted to do grilled, but our grill is just messed up), with a couple of SMALL glasses of Barón de las Viñas Reserva, 2008, from Sainsbury’s (currently on at 2 for £14). On the look, there wasn’t much garnet (bronwy) tinge. Basically this is one of the first signs you’d normally get from a wine that’s been aged a bit. Not always, but with Rioja that’s probably a fair thing to think about. This was pretty straightforward ruby red, and checking the bottle revealed it had had the bare minimum 24 months ageing required for it to be called Reserva. Everything was making sense so far. On the smell, damsun and dark cherry form the tempranillo, bit of raspberry from the garnacha, and hints of nutmeg and chocolate from the ageing time in the barrels (12 months instead of the minimum 6 months). When we tasted it, it was pretty well balanced, very drinkable, but not quite as smooth as I’d hope for. Basically the tannins were still pretty punchy on the gums. Maybe I should have let it air for a couple of hours first. As with most of these kinds of wines though, it came into its own with the food. The chorizo was spot on with it. That tannic and peppery finish on the wine worked great with the roast chorizo, I was a big fan. Overall a solid Rioja, and at that price it’s very good. It’d never get more than 14/20 from me, cos it’s not a “blow your mind” special, but that mark’s probably about what I’m leaning to, especially with the food pairing! 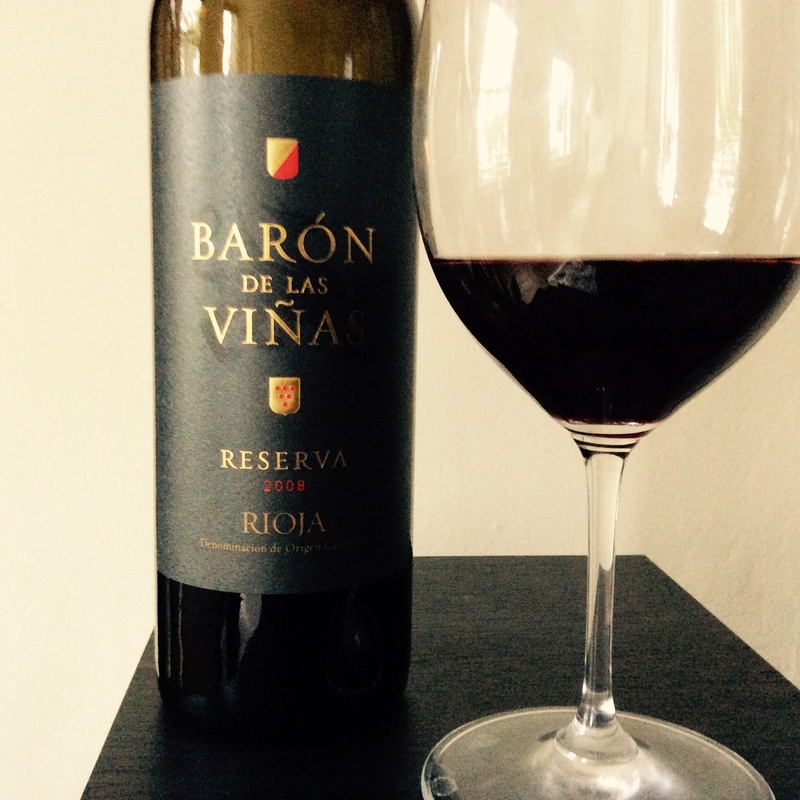 #NWTW Week 40: What Do We Mean When We Say Rioja? cheers 🙂 tasted bloody great!